Wii, PSP, and Xbox are quite popular game consoles on the market, and for game enthusiasts, they are indispensable in creating a complete home theater. Apart from delivering video games, and video sources from television, these game consoles also allow you to view YouTube videos directly. 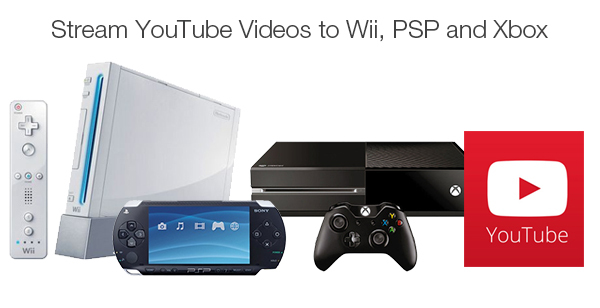 You’re going to be introduced with best solutions to watch YouTube videos on Wii, PSP, Xbox, etc here. Step 1. Open the YouTube app, and sign in with your Google account. After signing in, you can access YouTube subscriptions and playlists. Step 2. Select a YouTube video you want to play, and a player controls bar will appear. Step 3. Use the remote control to realize: return to home screen, search a new YouTube video to watch, pause or resume, fast forward, rewind, closed captioning, flag. Step 4. You can also pair your mobile device to PS3 or PS4. Learn more about YouTube on PS3/PS4. Step 1. Sign into your YouTube account to view your playlists, favorites, or upload videos. Also you can watch YouTube videos without a YouTube account. Step 2. Select a YouTube video you want to play, and a player controls bar will appear, allowing you to perform pause, resume, fast forward, and rewind. Step 2. Choose the “Search” icon to search for your favorite YouTube videos. Learn more about YouTube on Wii. Step 1. Install and launch YouTube App on your computer and sign in with your Xbox LIVE Membership. Step 2. Link your YouTube account to your Xbox gamertag to access more personalized YouTube features. Step 3. Use the remote control to search for YouTube videos you want to play. Step 4. You can also pair your mobile device to your Xbox. Learn more about YouTube on Xbox. How to make YouTube videos fit for different devices? Here are two best solutions for you watch YouTube videos without device limitation. A YouTube downloader can not only download YouTube videos for you but also convert them to a common format which enables you to watch downloaded and converted YouTube videos on popular devices. 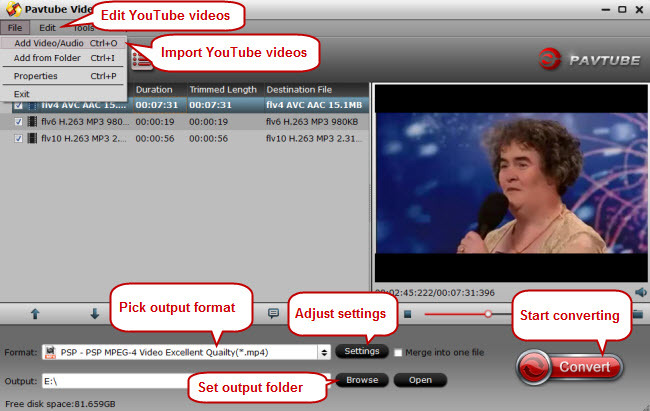 Why will you need a specific YouTube video converter? Some YouTube downloaders can only convert YouTube videos to several video formats, and sometimes people may find it difficult to play the downloaded and converted YouTube videos with a YouTube downloader on their devices. YouTube app may crash when playing YouTube videos on TV with game consoles and set-top boxes, and there may be signing in problems with YouTube account. 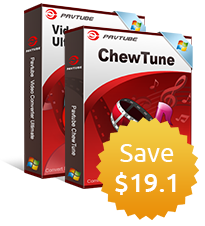 So to make every YouTube video playable on iPads, iPhones, iPod, Android tablets and smartphones, video players, HD media players, etc, a YouTube video converter like Pavtube Video Converter with which you can convert online videos from YouTube, Vimeo and more is definitely essential.